A great house on the inside as it is on the out. This house shows Pride in Ownership from the tile flooring, to the beautiful outdoor Pool and outdoor living space. Whole House RO system, Great living area, 3 bedrooms and 2 bathrooms are perfect for families or as an investment Rental home. Outside is perfect for entertaining. Large pool area with completely fenced back yard. Extended lanai is perfect for parties. 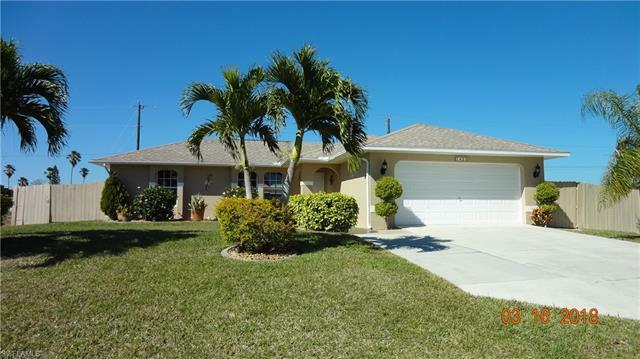 Less than five minutes from Pine Island Rd, this home is convenient to shopping, entertainment, restaurants and beautiful downtown Ft. Myers. make your appointment today, you won’t be disappointed!